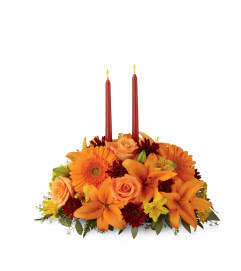 A tradition passed down from generation to generation, this modern take on the Thanksgiving cornucopia blossoms with an elegance and sophistication that will bring beautiful fall color and beauty to your holiday festivities in the Better Homes and Gardens® style you have come to know and love. 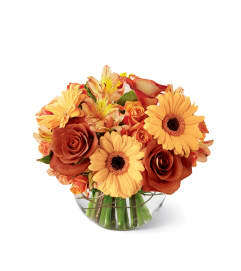 Eye-catching sunflowers and red Asiatic lilies take center stage surrounded by red roses, bi-colored daisies, burgundy carnations, yellow solidago, glycerized oak leaf stems, and lush greens, artistically arranged within a natural woven cornucopia horn-shaped basket. 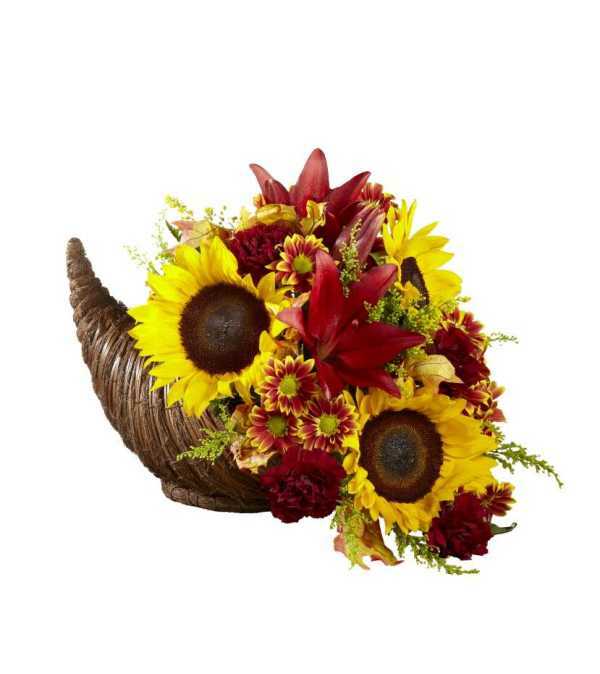 A simply stunning way to celebrate the spirit of gratitude, family, and friends that the Thanksgiving holiday conveys with those near to your heart, but far from your home this harvest season.